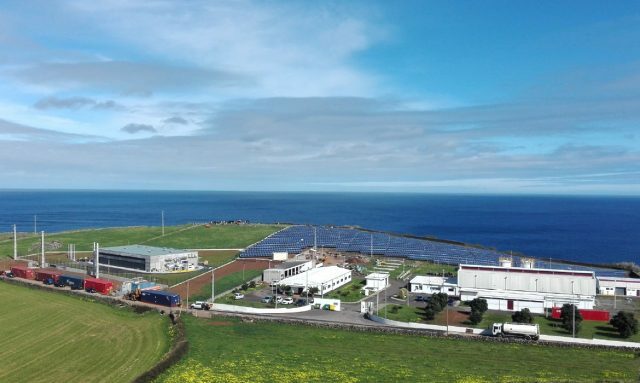 One of the world’s pioneering developers of advanced battery energy storage systems and smart microgrid developers, Germany’s Younicos on July 3 announced it was being acquired by Scotland’s Aggreko for GBP40 million (approx. USD52 million). Aggreko is a longstanding international provider of conventional mobile off-grid and grid-connected diesel and other fossil fuel-fired generators, as well as facilities energy management and climate control technology and systems. Management has been taking the company in a new strategic direction in recent years based on growing demand for distributed renewable energy solutions on the part of customers, however. “This acquisition strengthens our position as global energy markets continue to evolve and is in line with our strategy to invest in technology in order to reduce the cost of energy for our customers,” management highlighted. In and of itself this statement highlights just how far, and how fast, the transition to decentralized, digitally networked zero-carbon emissions energy has been progressing in Europe and around the world. 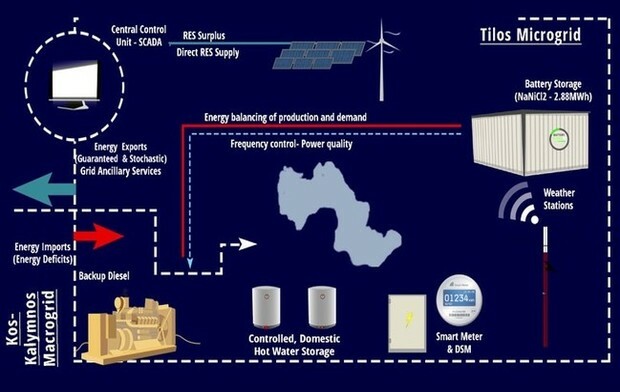 Younicos’ advanced lithium-ion and sodium-nickel-chloride (NaNiCl) battery-based energy storage systems (BESS), distributed renewable energy resource management and grid-integration technologies have been seminal in building some of the world’s foremost examples of zero-carbon emissions microgrids. 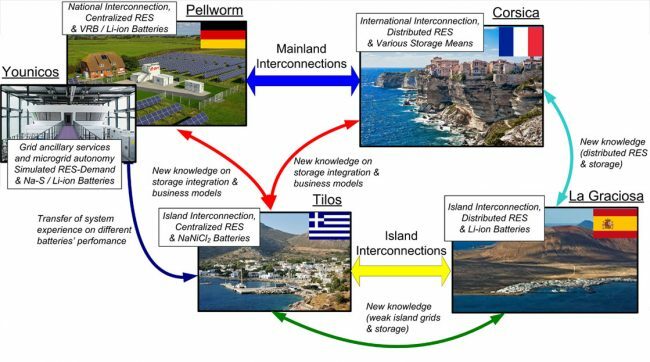 That includes the TILOS zero-carbon emissions microgrid on the Greek Aegean island it was named after, and the smart island microgrid on the Portuguese Azores’ island of Graciosa. Younicos’ list of pioneering microgrid accomplishments also includes partnering with Panasonic and Xcel Energy to build the Peña Station NEXT solar PV-BESS microgrid adjacent to Denver International Airport. “Global energy markets are changing: decarbonizing and becoming more decentralised and digital. As renewables penetration increases, intermittency becomes a more difficult issue to manage across grid systems. Integration and control of thermal, renewable and battery systems will be increasingly required to ensure power stability and reliability are maintained. Younicos has invested heavily in R&D since its founding in 2005 and has expanded internationally from its two principal bases in Germany and the US, Aggreko points out. All told, Younicos has installed some 200-MWs of advanced BESS capacity and has a healthy, growing project pipeline that encompasses both developed and emerging markets. Younicos generated GBP7 million (approx. USD5.415 million) and wound up the fiscal year ended Dec. 31, 2016 with an operating loss of GBP15 million (approx. USD11.6 million). Its gross assets were valued at GBP20 million (USD15.4 million) as of last year-end. Aggreko expects Younicos will continue to generate financial losses over the near term, which means the GBP40 million all-cash acquisition will dilute the intrinsic value of Aggreko’s shares. That said, the two chief executives are enthusiastic regarding the acquisition and merger. Chris Weston, Aggreko Chief Executive, said: “As energy markets continue to decarbonise, decentralise and become more digital, the integration and control of multiple energy sources, including thermal and renewable, will be essential to ensure the provision of reliable power. Financially, Aggreko’s 1Q 2017 revenue, excluding foreign exchange impacts and pass-through fuel, was up two percent year-over-year while reported revenue rose 18 percent. That rises to 7 percent and 25 percent, respectively, if the impact of re-pricing and off-hires in Argentina were excluded, management reported. “Our investment in technology is starting to deliver and year to date we have signed around 50MW of next generation gas orders across the Group and we have signed our first solar diesel hybrid contract of 7MW, supplementing 20-MW of diesel already on contract, for a period of 10 years,” management elaborated. Looking ahead towards assimilating and capitalizing on Younicos’ human, technological and other organizational resources, Younicos CEO Stephen Prince will report directly to Aggreko chief executive Chris Weston.